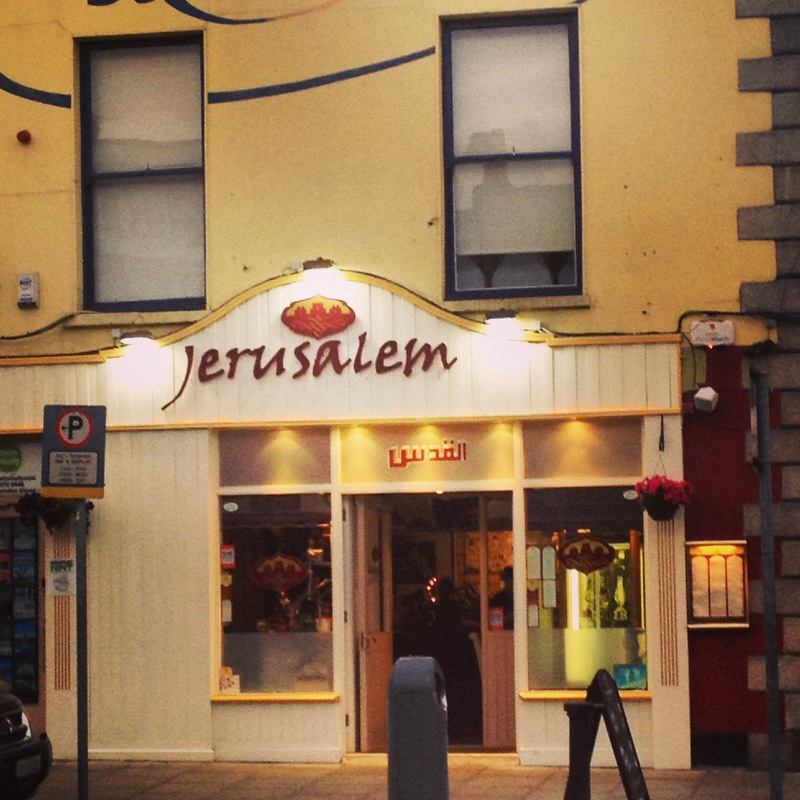 I recently saw a deal online for Jerusalem on Camden Street and not being very familiar with the cuisine, decided to give it a shot! Inside was a different story. The place was almost full and full of energy and chatter. 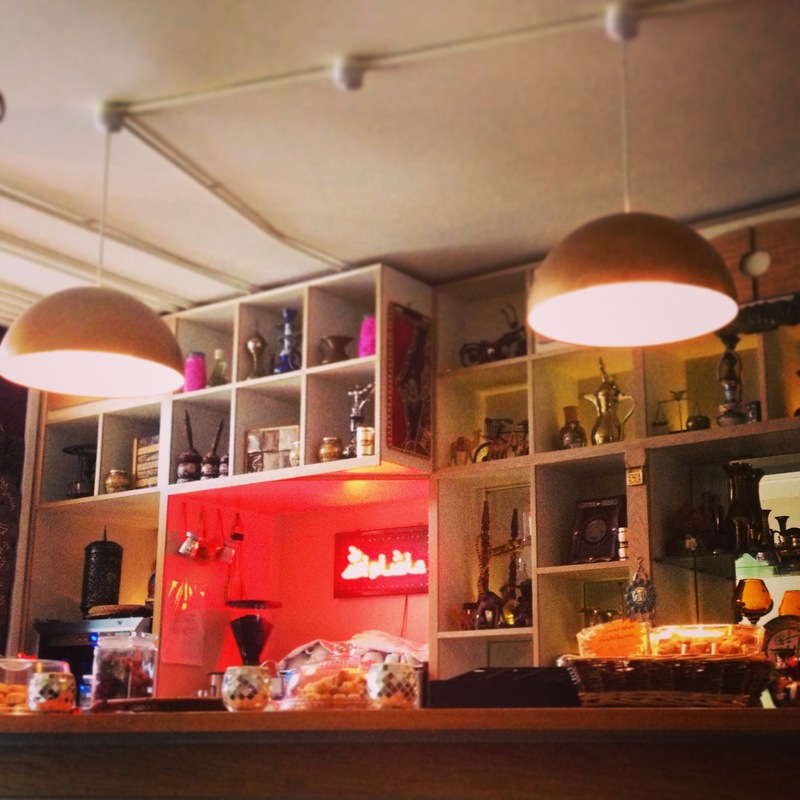 It’s larger than it looks from outside and the interior is dotted with traditional bits and bobs. We got a very warm welcome and were seated by a very friendly greeter then made our way through the large menu. 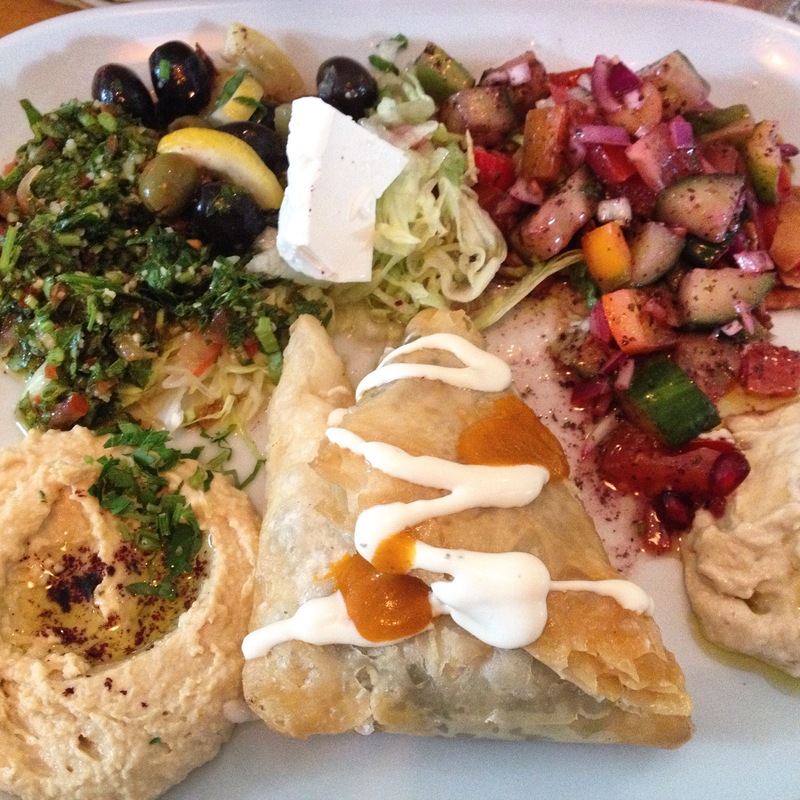 There’s lots of veggie options and a a lot of chickpeas and hummus knocking around – I adore it so that made me VERY happy! To start we went with the Arayess – Lebanese bread filled with minced lamb, onion, garlic and tomatoes, and the Falafel which was served with hummus and Naan bread. 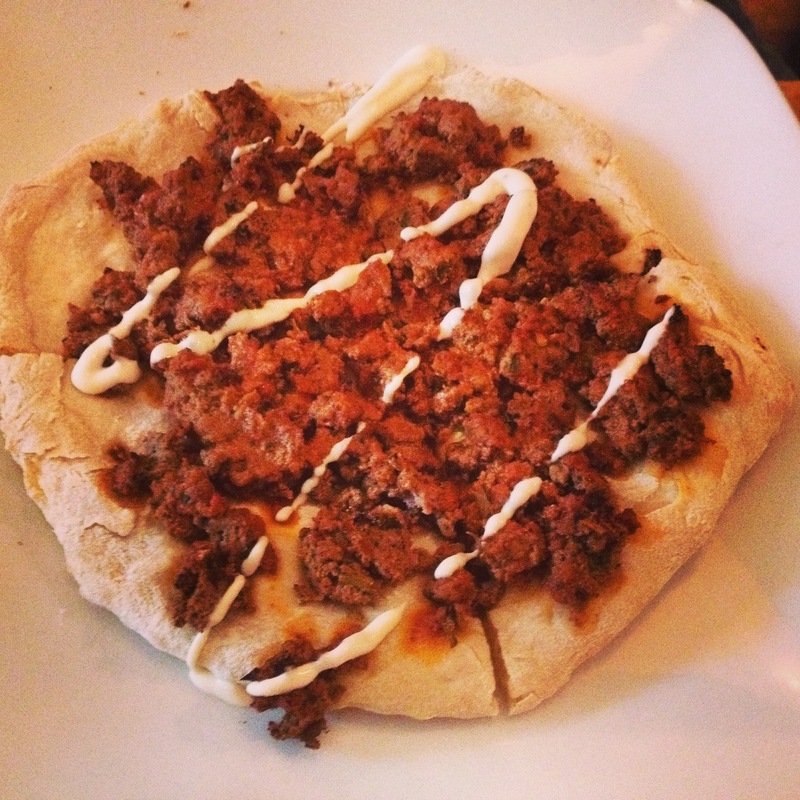 E’s Arayess was amazing, gorgeously soft lamb seasoned perfectly. 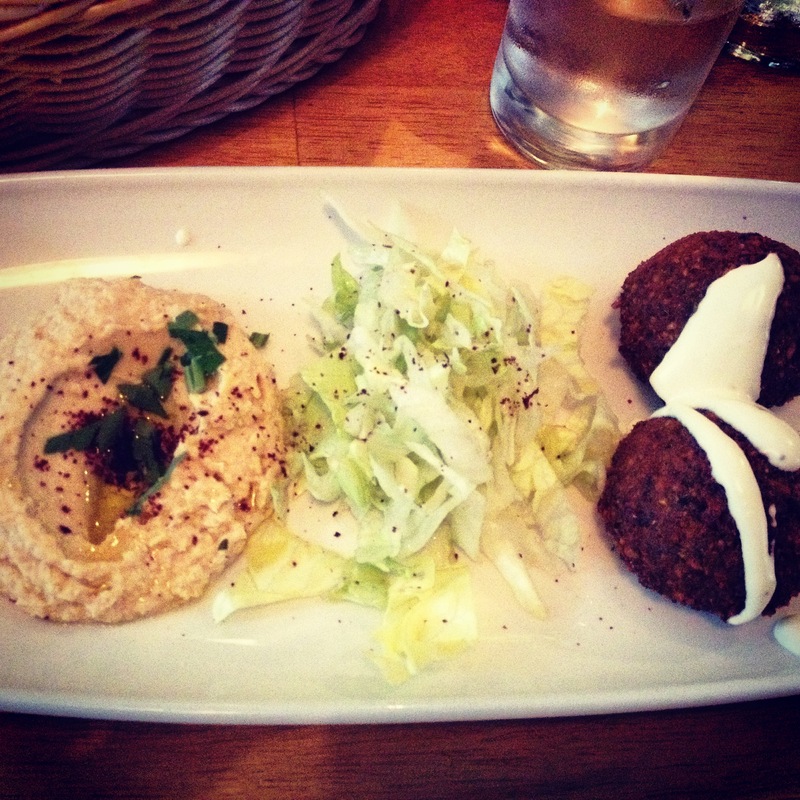 My falafel was ok… the flavours were there but it was just too dry for me to be honest. The hummus and naan were great though and I still scoffed it all so it can’t have been too bad! 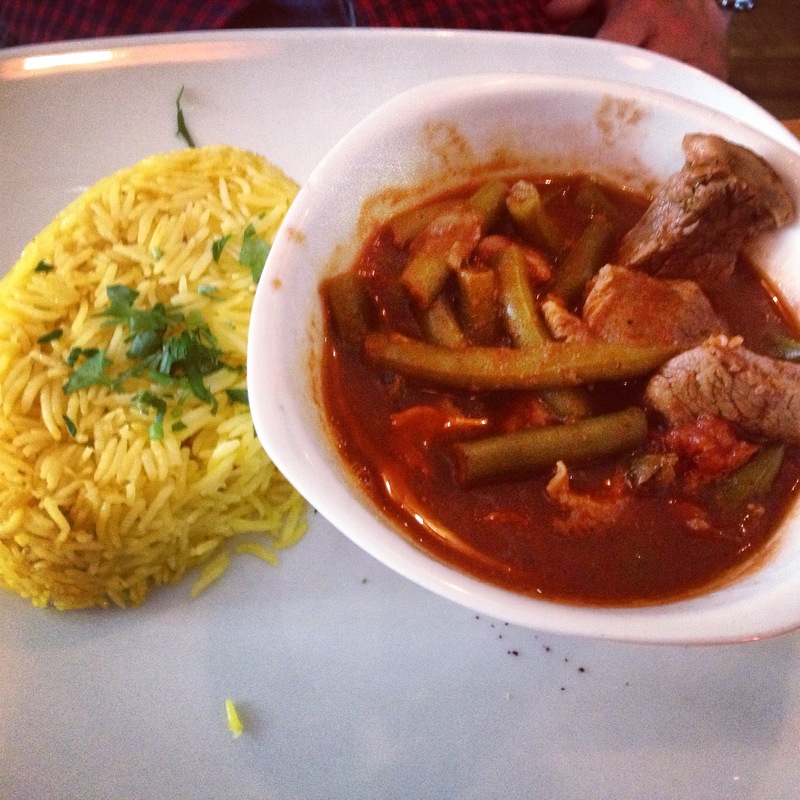 E went for the Fassoulia b allhma – Lamb cooked in a tomato sauce with broad beans, garlic & onion served with rice. While the lamb and the sauce were good the rice was a bit of a let down, much too dry. By now I could barely move I was so stuffed so we took a breather and just enjoyed our wine. Considering it’s a little bit out of the busiest part of town I’d thought it would be quiet enough but all evening there was hardly a seat to be had – lots of large groups of people piling in. 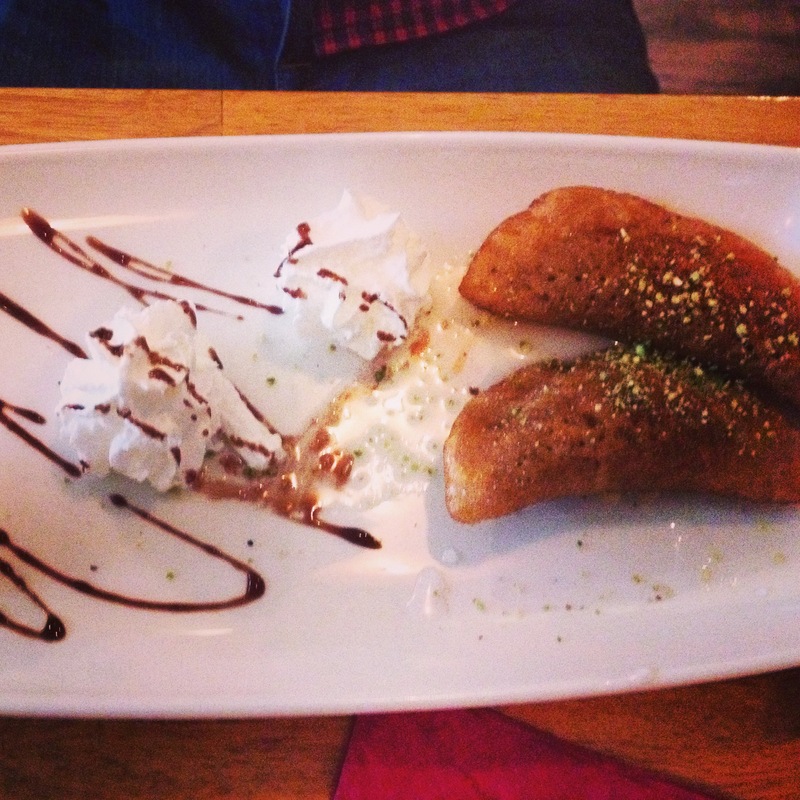 Onto dessert – we chose the Baklava which I’d often heard of but never tried, in fact I didn’t even know what was in it but the menu told me it was Filo pastry stuffed with honey & nuts and E went for the Qatayef – Pancakes stuffed with nuts, coconut, cinnamon & soaked in Rose syrup. 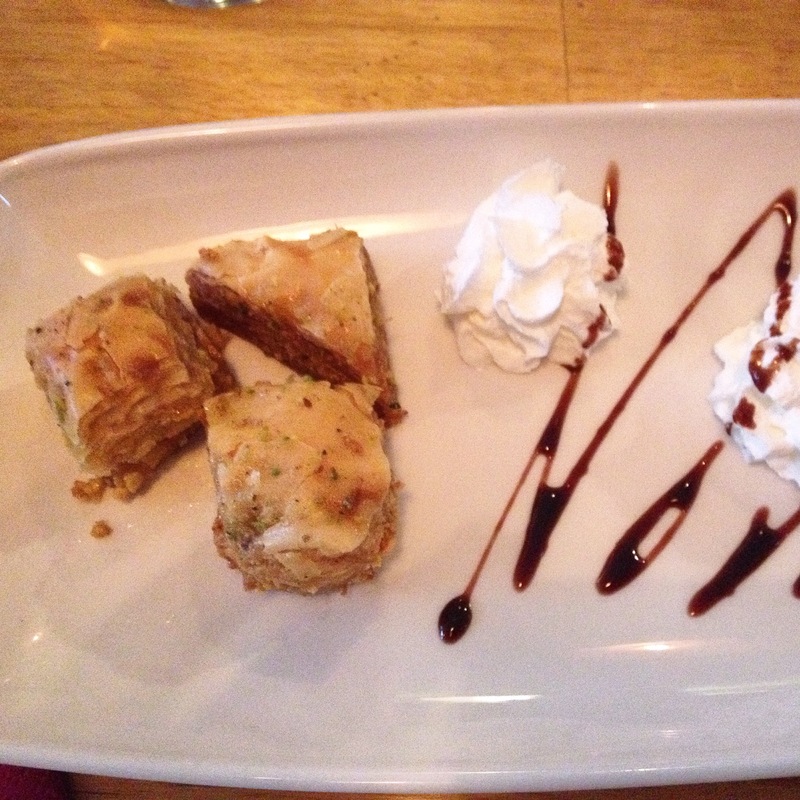 My baklava was fab, something different to my chocolate overload but still nice and sweet to finish off the meal. 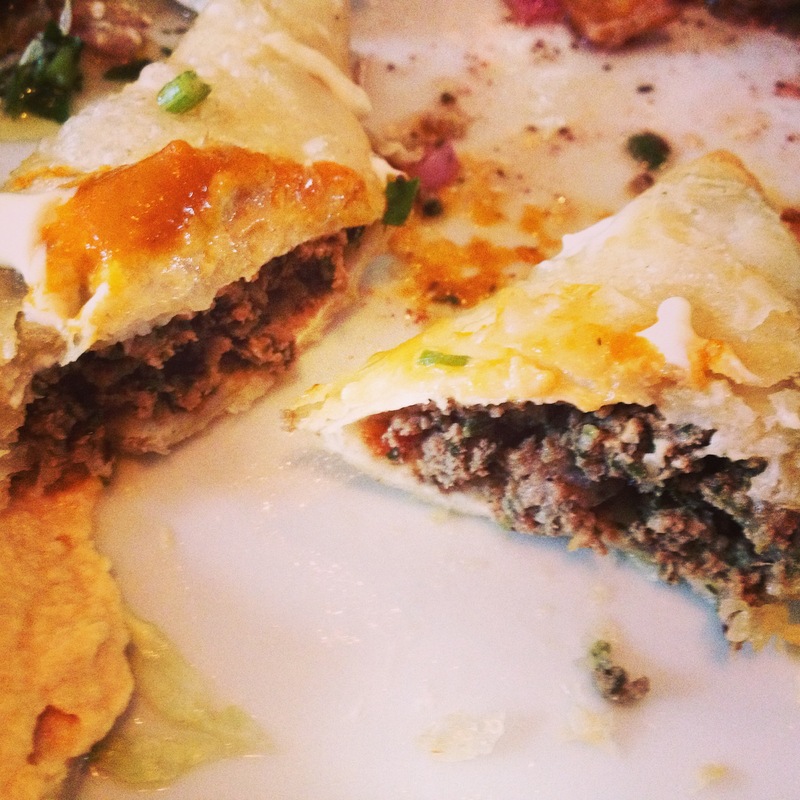 As you can tell, it was a bit of a mixed bag – some of the food was delicious, some not that great. 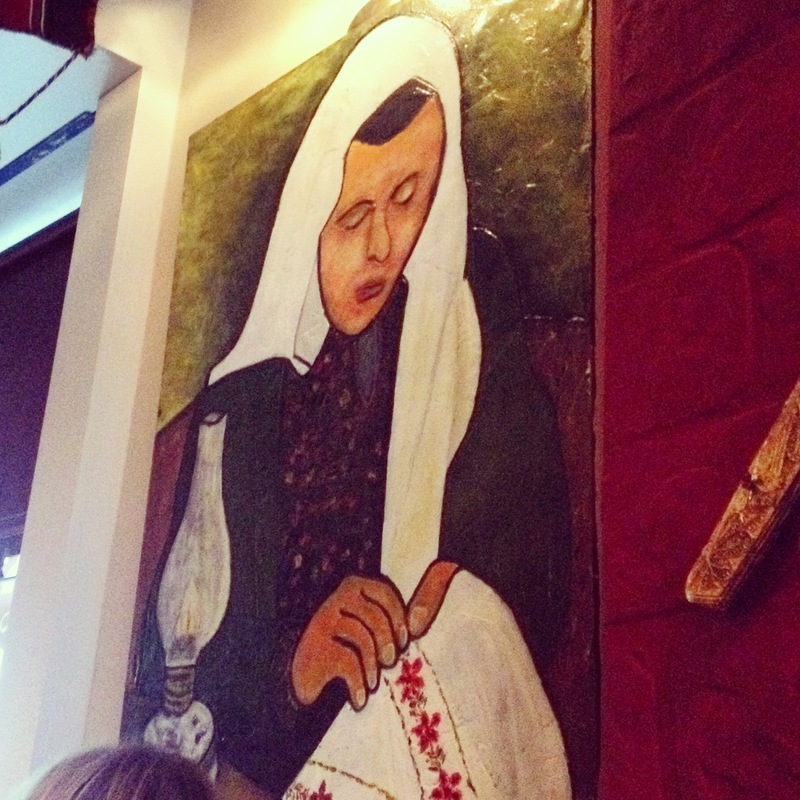 I’d heard great things about their sister restaurant in Rathmines, Little Jerusalem, so I’d expected a bit more. We had a deal that offered 2 three course meals for €35 which was amazing value considering we just bought along our own wine… in fact I’ve no idea how they managed to make any profit at all from people on that deal! I’d be in no major rush to go back again considering there’s numerous BYO places popping up but a deal like that is pretty good value and some of the food was great so I wouldn’t completely discount it! 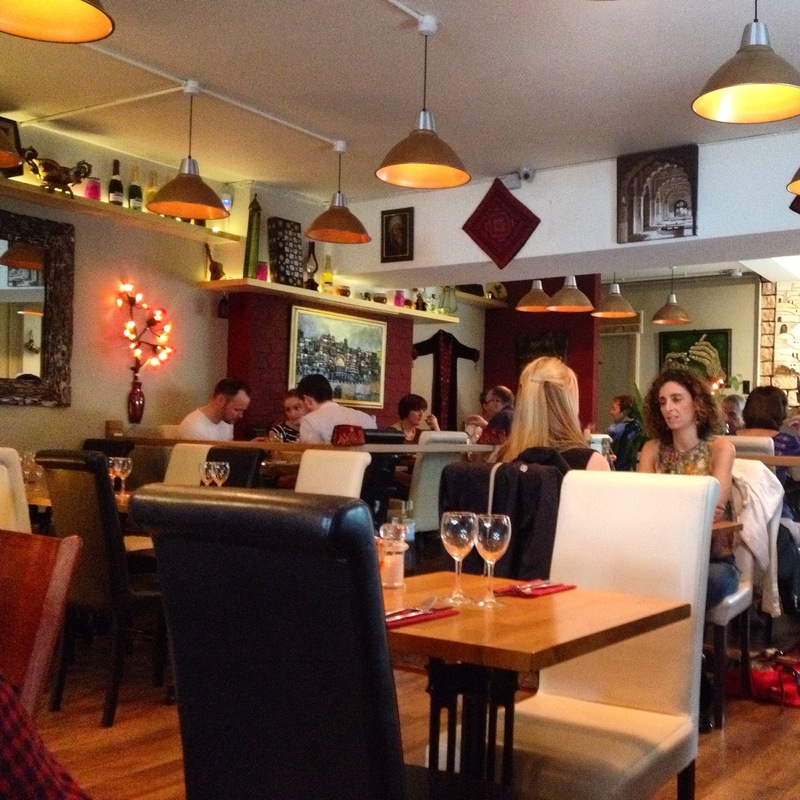 If you fancy trying another Lebanese place I think Cafe Rotana in Portobello is the best one in town! Thanks for the recommendation – I will defo try it out! Liked the style of food etc but this place just wasn’t up to scratch. 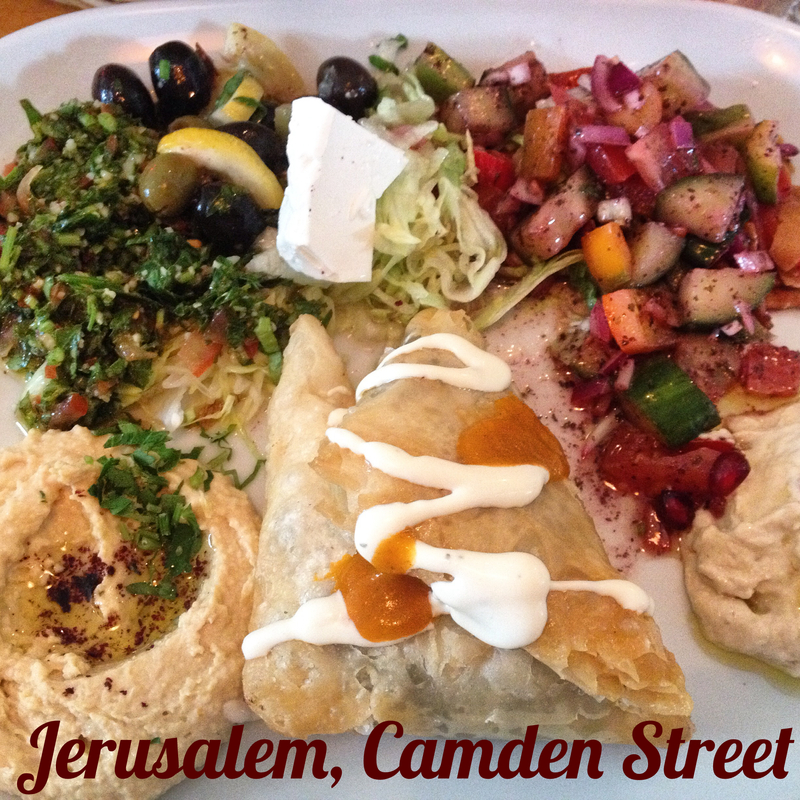 I tried their other place, Damascus Gate about a year ago and I was equally unimpressed. It didn’t have a good feel about it, the atmosphere was off. The dishes we received didn’t quite match what was described on the menu. I wondered if the BYOB policy was down to the staff religious beliefs, this wouldn’t be a problem but it’s be nice if it was noted on the menu, or something. I felt like a bit of an idiot waiting around for the wine to be opened, eventually we did it ourselves (yes I carry an opener with me) and glass then eventually appeared! Does that make me sound like a bit of a diva?